I rarely played the first Killing Floor, but this time around I am really enjoying Killing Floor 2. 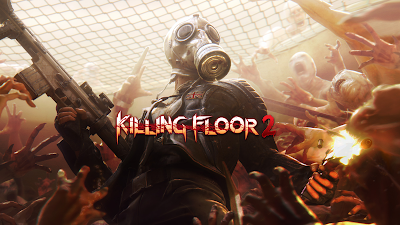 Developed and published by Tripwire Interactive, Killing Floor 2 was released out of early access on November 18th 2016 for the PC and PS4. 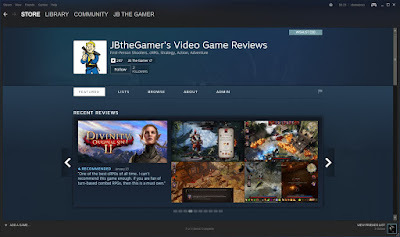 The game is a co-op First Person Shooter that is much like Left 4 Dead in terms of game play. 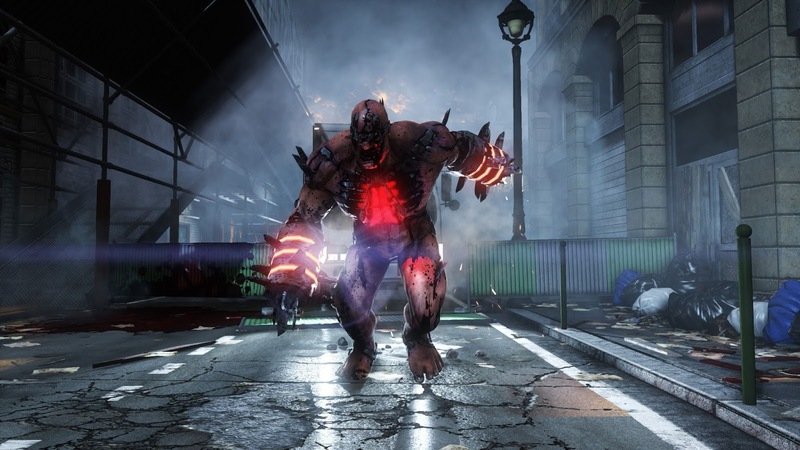 Killing Floor 2 has two modes and 12 official maps, with more created by the community. The two modes are Survival and VS Survival. 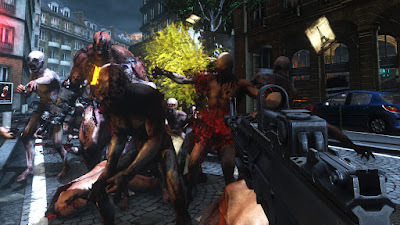 In Survival you play with up to 12 other players cooperatively against waves of Zeds. You can also play this mode Solo, but it is a lot more fun playing with others online or just with your friends. You can have a Survival match last up to just 4 waves or the max of 10 waves. The last wave is the boss fight, if your team survives then the humans are victorious. If the Boss kills everyone on the team, then the humans lose. VS Survival mode is much like Survival mode except it is a PvP version of Survival for up to twelve players, in this mode two teams of up to six players each take turns playing humans vs. Zeds, each match lasting four waves plus a boss wave. One team plays human and the other a mixture of specially modified Zeds backed up by AI controlled Zeds until the human team is defeated or it defeats the boss, at which point the two teams switch sides and the battle continues. After each team has a turn playing both humans and Zeds, they both receive a score based on their performance and the higher score wins! What are Zeds? Zeds are failed experimental clones created by Horzine Biotech, a biotechnology company in London, England. They are also known as zombies. 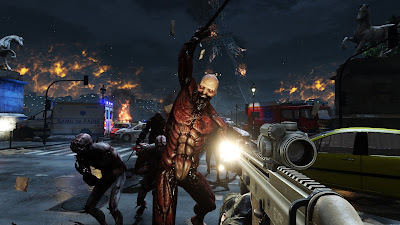 In Killing Floor 2 there are a total of 13 different types of Zeds, including the two bosses. As you start off in the first wave only a few easier type of Zeds show up. As you progress through the waves the game starts to include more challenging and tougher Zeds into the fight. When your team reaches the Boss wave, one of two bosses will show up, either the Patriarch or Hans Volter. As you play on higher difficulty the Zeds get harder to kill and change their tactics a bit. In terms of game play, Killing Floor 2 is rather simple. It is a FPS where you have to survive waves and waves of Zeds till the boss. After each wave you have to go to the Trader Pod to buy more ammo, armor, and better guns. Depending on how well you did during the wave you will get cash to purchase these items. There are over 60 weapons to choose from and each weapon is specialized by perks. There are ten perks in Killing Floor 2 and each perk has their own unique skills. You can choose one skill per five levels up to level 25. At the beginning of the game you can only choose one perk to play as, but gain all the skills up to level 25 for that perk. Although, you can switch perks during mid-game, but to maximize benefits of that perk you would have to buy the weapons for that perk, which could be costly. The great thing about the weapons is you don't have to buy the one meant for your chosen perk. You can use any weapon you want and gain experience towards that perk the weapon is meant for. For example, if you picked the Melee perk at the beginning of the game, of course using Melee weapons would benefit you greatly. But you could buy an assault weapon and use that instead. You will not get the bonuses meant for that perk (until you switch your perk and skills in game), but you gain experience towards the perk that uses assault weapons. Aside from choosing perks, and skills you can also customize your avatar by choosing from 10 characters. From there you can then customize how they look. Characters do not have any affect on Perks or Skills. They are just there for looks. Killing Floor 2 does have a in-game store where you can buy weapon skins, keys to open supply crates, and items for your character to further customize your look. These are just added visual transactions that have no affect on the game play and are 100% optional. How about the story in Killing Floor 2? Well, there really is not much of one. The simple story is the CEO of Horzine Biotech created these creatures called the Zed and In his background story you find out he becomes The Patriarch. Who is one of the bosses in the game. That is pretty much all there is to it. If you are looking for more of a story in Killing Floor 2, then this game is not for you. Killing Floor 2 is all about co-op survival against waves of Zeds. JB The Gamer's Final Rating on Killing Floor 2: 4 out of 5 - Great Game. Killing Floor 2 is a great game. It is fun to play with a group of your friends or even online to see how far you can survive on each map. It can take hours of play to gain all the skills in the perks within Killing Floor 2. I find my self coming back to play this game over and over again. I even enjoy playing this game with random people online. Mix the awesome FPS gun play with heavy metal music and Zed time (Zed time is where the game slows down for a bit when someone gets a critical hit. It feels like you are in the Matrix for a few seconds. ), and you got your self one damn fun game. It was hard for me to find any faults to the game and I didn't run across any gaming breaking bugs. But I gave it a 4 out of 5 because I didn't like the micro-transactions, even though they are optional. And the repetitive game play can wear on you. Yes, I do keep coming back, but I can only play for a few hours before I have to walk away because I get the feeling of been there done that. Also, there is a lack of tutorial in this game. You pretty much just jump right in, with no learning how to play the game. But all and all Killing Floor 2 is a great game to pick up and worth the asking price of $30 on the PC. Killing Floor 2 is available for the PS4 & on Steam for the PC.